Solid wood door frame with mortise and tenon assembly. Veneer arched raised center panel. One piece solid wood drawer front. 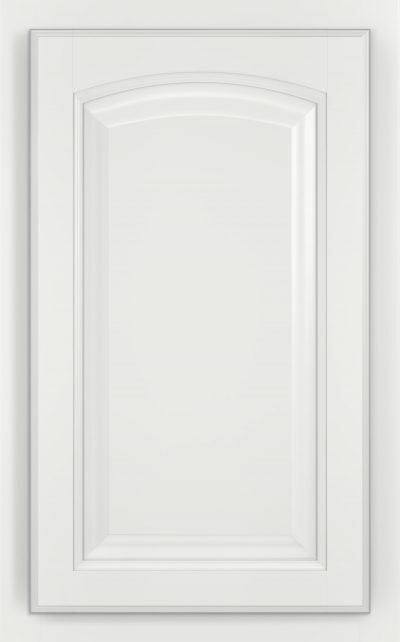 Arched doors are only available on wall cabinets and upper section of tall cabinets.